GoPro has today launched a new 5.2K spherical camera to their range of action cameras with the launch of the new GoPro Fusion, the newest member of the GoPro action camera family. I am so proud to introduce Fusion, the new GoPro that packs a huge punch. Fusion is the ultimate capture device for fully immersive virtual reality content, non-VR video, and even photos. It captures stunning 5.2K30 video and breathtaking photos in full spherical—but that’s not all. Imagine never having to worry about framing your subject…ever. Yes, cameras do the heavy lifting already, but it still takes the eye to compose a shot, right? Well, thanks to Fusion, our users will be able to record their moments in all directions and then go back and choose the composition they want. This is referred to as OverCapture or reframing. It’s like having a camera team with you when you shoot capturing your primary and b-roll footage. From there, you have the flexibility in post-production to pick and share all sides of your story in conventional HD. As the Senior Product Manager for Fusion, I have been looking forward to this day for some time. We have a pilot program starting soon, and I cannot wait to see how innovative content creators will use Fusion to help them tell their stories. The goal of Fusion is to distill the best of GoPro—quality, mountability and durability—into a pocketable product that will wow our professional customers. 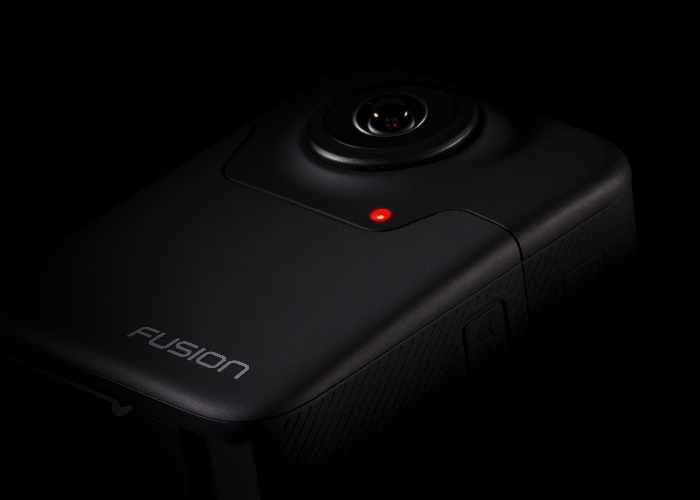 For more information on the new GoPro Fusion 360 camera jump over to the official GoPro press release website for details by following the link below.